When it comes to locating your oil heating tank, it pays to talk to the experts. Mrs Poole from Staffordshire recently faced a familiar problem. The house she had bought some years ago was heated using an old single skin steel oil tank which was positioned in what used to be a log store in a brick outbuilding. Although this looked great, being unobtrusive and perfectly in keeping with the rural property, the location of the tank did not meet current regulations. When it came to replace the tank with a newer model, to her dismay she was advised by not one, but two different installers that the new tank would have to be made out of plastic and positioned right in the middle of her small garden to comply with regulations. Mrs Poole explained that this would not only spoil the look of her garden, it would also detract from the appearance and ambiance of her cottage. She feared that it might even result in her home being more difficult to sell in the future and may adversely affect the value of her property. Mrs Poole remembered seeing a range of Tuffa Tanks at an agricultural show she had attended as part of her work and so decided to give us a call. Amy in our sales team answered her call – and also answered her prayers! 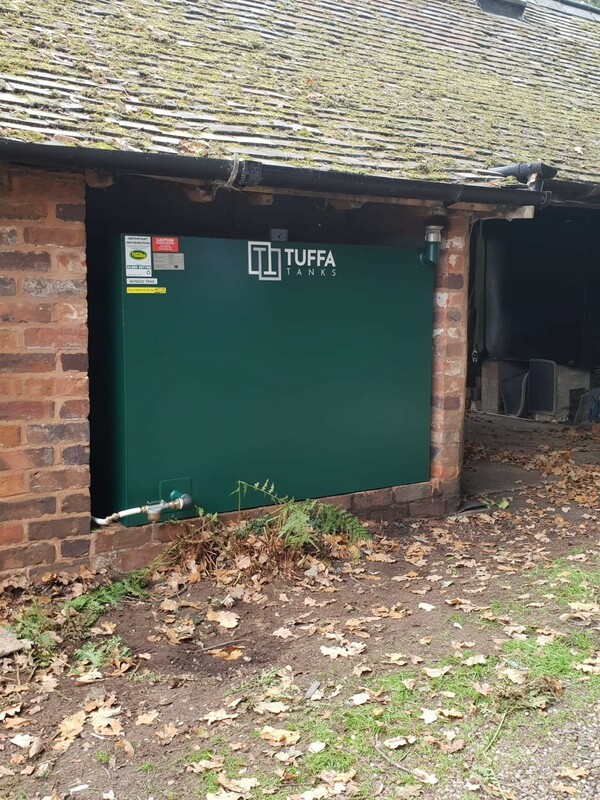 Tuffa UK designed and built a bespoke 600 litre steel, bunded Fire-Protected heating oil tank to her exact specifications. The tank was manufactured to the exact dimensions to fit the existing space in the wall. The tank measured just 750mm in depth, allowing it to be neatly housed in the store. The vent was offset on the front of the tank, with the fill point countersunk into the top of the tank by the fuel gauge. This would allow the precautionary option of an elbow pipe to fill, although the tank was designed to fit the height and the space to take a conventional fill. The unique patented fire-protected material is integrally factory-fitted around the inner tank. 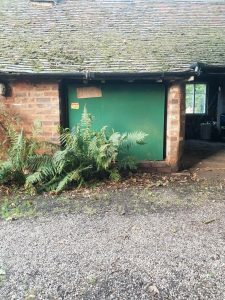 This means that the tank can be located adjacent to the property or in a garage or out-building while still meeting all Local Authority Building Control (LABC) regulations. There is a choice of 30 or 60 minutes fire protection, allowing time for the building to be evacuated while the fire is controlled and extinguished, without any risk of the oil inside the tank igniting – even if the outer tank is engulfed in flames. The tank was installed by Richard Bates of KK Tanks Ltd who told us more. “Tuffa’s Fire-Protected tanks are ideal for both the customer and me as an installer,” he said. “The Fire-Protection enables the tank to be placed either alongside the property or in an out-building. It’s safe and tidy for the customer and makes the install easier as there is no additional building work required. It’s a win-win situation,” he added. Tuffa UK’s General Manager, James Shenton was pleased that we were able to produce a bespoke tank to meet the customers exact requirements. “We have our own steel workshop on site and our team of skilled fabricators designed and manufactured this tank to a specific capacity and size. We pride ourselves on being able to work with customers and installers to help them give them exactly what they want,” he said. 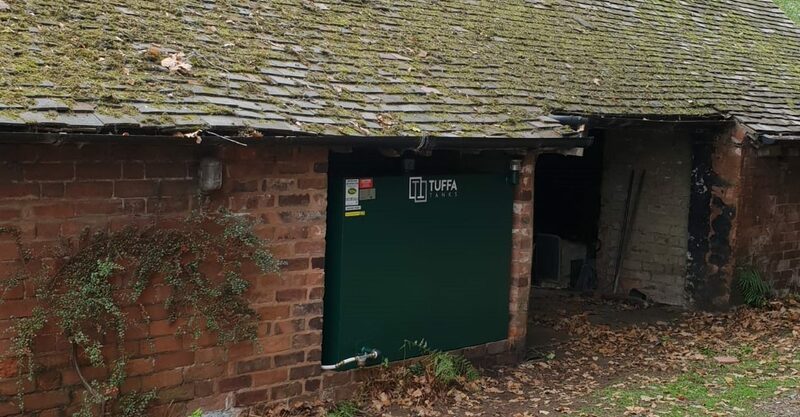 So, if you want to specify your own tank and put it exactly where you want, stay safe and compliant with a Tuffa Fire-Protected tank. Call Amy, Dee or Mike in our sales team on 01889 567700 or find out more here.